Gothic Gifts Blog. For personalized gothic art gifts to suit all tastes! 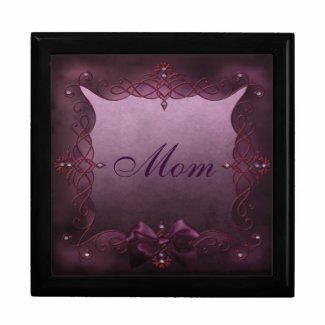 Elegant & Stylish Personalized Gothic Mother's Day Cards & Matching Jewelry Boxes! 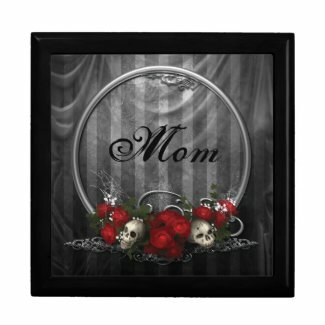 Gothic art card and matching Gothic art jewelry box?!! Mom not a Goth chick? No worries!! These beautiful and unique designs will be appealing to most Moms. 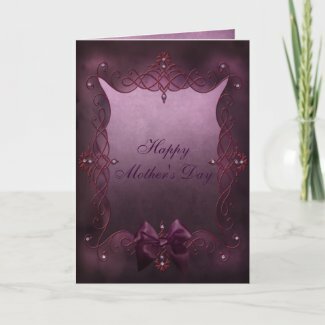 These unique cards have customizable text on the front and inside the card, so you can make a special personalized card for your Mom!! The attention to detail on these cards is lovely as they are illustrated inside as well as on the outside. Price for one card is $3.55. Volume discounts - you don't have to buy multiples of the same card to receive a quantity discount - you'll receive a quantity discount on any order of 10 cards or more! Green, and Red Mahogany. You can choose which type you prefer before ordering. Soft felt protects jewelry and collectibles. Mom is a goth chick??!! Then she won't be able to resist this gorgeous skulls and roses card and matching gift box! 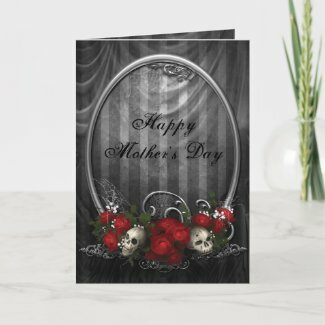 Visit Gorgeously_Gothic Designs Store at Zazzle for more gorgeous Gothic cards and gifts. 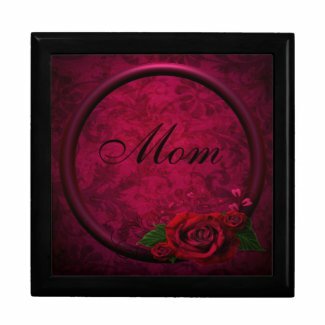 Want to see more Gothic Mother's Day cards and matching jewelry boxes.? Gothic art not your cup of tea? 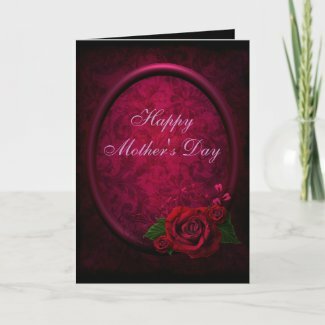 Find personalized elegant and stylish romantic vintage designs appealing to all Moms on cards, pillows and jewelry boxes. For a wide range of custom Gothic Gifts and cards designed by a variety of artists visit the Gothic Gifts Store. We have a wide range of cool and trendy Gothic gifts to suit all tastes! Teen girls will love our cute iPhone 4 cases! Teen boys will love our cool skulls mousepads! We have Universal iPad sleeves to fit the iPad 1, iPad 2 and iPad 3!! Made in the USA!! Loads more product types available! !